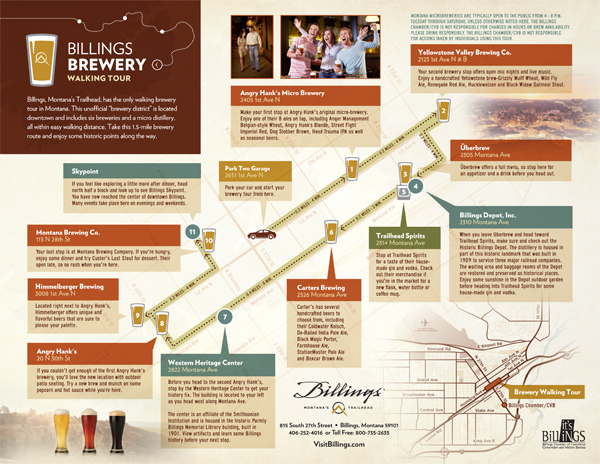 Starting tonight, you can tour Billings' breweries and distilleries by foot or by trolley! 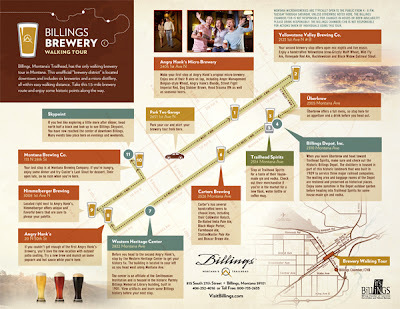 This 1.5-mile route hits Montana Brewing Company, Himmelberger Brewing, Angry Hank's, Carter's Brewing, Trailhead Spirits, Uberbrew, and Yellowstone Valley Brewing Co. Starting Friday April 26, a trolley will run continuously from 4 p.m to 8 p.m. Check it out and report back here! Are there any beer stores in Montana that can ship these Montana brews? Unfortunately, no. Various state and federal laws prevent that. The prices of the above is quote really good. I myself see the price are very good indeed!